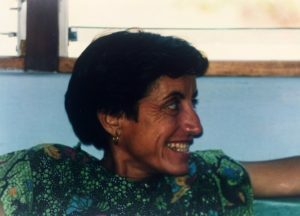 Hailing from Spain, Sharanam (officially Maria Desamparados Aznar Arce) came for the first time to Auroville in the early eighties and joined Auroville in 1992. Her general health condition being rather weak, she lived a quiet, unobtrusive life in Dana, translating into Spanish texts of Sri Aurobindo, the Mother, Satprem and about Auroville, delivering a stream of important information into the Spanish world. She left her body on September 1, 2016 after a brief illness at the age of 69. 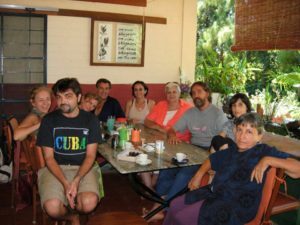 Sharanam gave classes for the children of Auroville in her house and continued translating to Spanish various works from the Mother´s Agenda to Savitri, and also collaborated with the Spanish Pavillion. Ultimately she was more and more reclusive in her house. She shared with me her intention to constantly stay in the flux of the present moment. 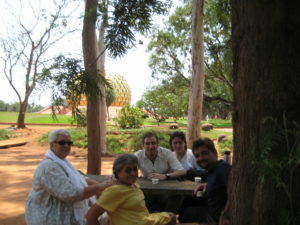 She had great faith in Auroville and was an unconditional disciple of Sri Aurobindo and the Mother. 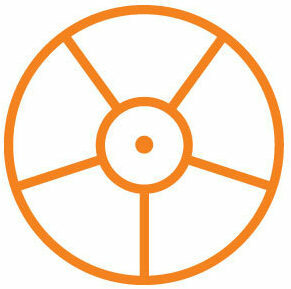 She consciously in her sadhana, took the decision of how to continue the process of her illness within the flow of yoga. 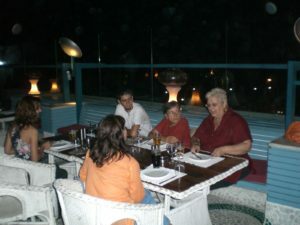 Alfonso from Spain recalls few of his stories with Sharanam, ” One time we were going to Chennai(Madras at that time) to meet the King of Spain in a visit there. We gave him the book 8 or 9 of the Mother’s Agenda and The Genesis of the Superman, by Satprem. Sharanam was born in Valencia and the 19th March is the local holiday, where they make the ‘Fallas’. For a week, some artists put in the streets and plazas a very big statues for fun, in wood, padding and paper, where they criticize the politicians, or the people known in the yellow and pink dress. Finally the 19th they burn them all. In this spirit, I made for her a big man statue in wood and padding, and in one hand, I put a paper wrench and in the other an imitation of the book “The New Espece”. At that time I was working at the Matrimandir and I was taking the image of Andy, the German guy of the Matrimandir. Just before I put on fire, some Aurovilians come to me saying that this could be a very bad Woodoo for Auroville, so I stop this and I gave it to them as a scarecrow. Also in her house, when she was living in Sincerity a scorpion bit me in my leg and she help me. Also, she make me the contact to know the address of Satprem in the Nilgiris to visit him.